The last stop is at the Detailing Bays. 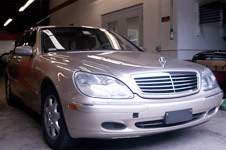 We wash and vacuum your vehicle, so that it is ready for pick up. The auto paint is inspected and buffed to meet our high standards. A final inspection and road test will insure that your automobile has been restored to pre-accident condition.